Are Regulatory Agencies Prepared For A Rapidly Aging Population? Regulatory health authorities have to ensure the safety and effectiveness of medical products for this aging population, which represents the largest group of therapeutic drug product consumers who often take multiple drug products to treat a variety of health conditions. Despite this changing demographic in aging populations, regulatory guidance specific to drug development for geriatrics has been limited, with guidances dating back to the 1990s. 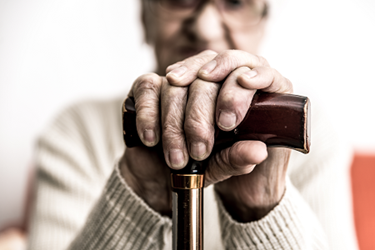 For example, the requirement for specific labeling regarding geriatrics dates back to 1997, when the FDA established the Geriatric Use subsection as part of the PRECAUTIONS section. This was specific to human prescription drug labeling with the aim to include more complete information about the use of a drug or biological product by people aged 65 years and older. At the time this final rule was adopted, it was anticipated that the majority of this labeling for marketed drugs would be exempt from user fees, since it could be obtained through extrapolation rather than specific clinical studies, which would require filing of a supplement and be subject to user fees. The ICH E7 guidance on special populations dates back to 1993 and calls for therapeutics to be studied in all age groups, including older adults for whom they will have significant utility. It recommends the inclusion of geriatrics in the Phase 3 database in meaningful numbers but leaves inclusion in Phase 2 as optional to the sponsor. It generally calls for at least 100 subjects to be evaluated for drugs used in diseases not unique to, but present in, older people, where smaller numbers would be expected for drugs less commonly used to treat the aging. The guidance does call for the overall evaluation of the presence of age-related differences, e.g., in adverse event rates, effectiveness, and dose response. If age-related trends are observed, further evaluation should be considered, but no specific guidance is given. The reasons drugs may behave differently in older patients are severalfold. There are physiological changes, especially decline in renal function and changes in body composition, which could result in a different pharmacokinetic (PK) and pharmacodynamic (PD) profile affecting drug safety and efficacy. In addition, older people often take more than one medication, which could further impact a drug’s PK and PD profile. To address this, a number of regulatory mechanisms could potentially aid in obtaining a more extensive geriatric data set to better support the labeling for older people and aid drug development for this population. Regulatory guidance should recommend the inclusion of older subpopulations in the Phase 1/2 data set to obtain PK and PD data that are generally not part of the Phase 3 data set. The evaluation of age-related parameters on PK/PD should extend beyond evaluating the impact of renal impairment. This data set should aid in determining when extrapolation of safety and efficacy data for older subpopulations is not appropriate. To promote this assessment early on in drug development, regulatory agencies could consider a requirement of a geriatric plan, similar to a pediatric plan, to address proposed evaluations in an older population. In addition, categorization of older subpopulations in clinical trials by age may not be optimal, and regulatory guidance on categorization of these subpopulations by parameters other than age relevant to the drug type should also be considered. The European Medicines Agency’s points to consider on frailty, which was issued in 2015, is an example. This document provides guidance on categorization of physical and cognitive frailty for clinical trial recruitment to more closely represent the target population for use of the product in older adults. If the clinical database for older people in the marketing application is minimal, regulatory agencies can strengthen this by requiring risk evaluation and mitigation strategies (REMS) or Phase 4 trials in older subpopulations as part of a drug approval. Further, the use of registries should be promoted and surveillance in older population should be incorporated into the FDA sentinel initiative that tracks post-marketing drug efficacy and safety.4 Together these post-marketing mechanisms should identify age-related differences and drug interactions and prompt label updates if needed. Another area of concern with older populations in regard to drug formulation is that older people often develop problems with swallowing. Similar to pediatric drug formulations, regulatory agencies could promote geriatric drug formulation by granting marketing exclusivity to sponsors developing geriatric-friendly formulations. Lastly, the incorporation of clinical trial patient-reported outcome measures in this population could be expanded to include caretaker-reported outcomes in quality of life to guide drug labeling for older populations. In summary, given the aging populations worldwide regulatory authorities need to strengthen the assessment of therapeutics to ensure the safety and efficacy in this population. Physiological changes due to aging can impact a drug profile and at present minimal assessment during drug development involves those above a certain age where age alone may not be the main parameter upon which to assess age related effects. Various regulatory mechanisms proposed during drug development together with data tracking and analysis involving present day technology platforms in post marketing phase should be considered to support accurate drug labeling for this population. Singh et al. “FDA analysis of enrollment of older adults in clinical trials for cancer drug registration: A 10-year experience by the U.S. Food and Drug Administration.” Journal of Clinical Oncology, 35, no. 15_suppl (May 20, 2017) 10009-10009. Marinka Tellier, Ph.D., is director of regulatory affairs, pharma biotech, for NSF International. She has 15+ years’ experience in drug and biologic development from pre-clinical to the post-marketing stage. She provides regulatory and scientific support to global clients covering a wide range of therapeutic areas and product categories. Prior to joining NSF, she provided regulatory and clinical trial support to the Division of Microbiology and Infectious Diseases at NIH for more than 10 years on antimicrobial drug development and early stage vaccines. She can be reached at mtellier@nsf.org.